Here is your Sagittarius Horoscope for December 2018. Every month, you will find at WeMystic the astrological forecasts for your zodiac sign. The presence of Jupiter in Sagittarius, which Mercury will join (on 12/12), confers greater charm and eloquence to the natives of this sign. Those who are single will receive a decent number of requests, some of which will arouse their interest, however, they will have a difficult time arranging any meetings without setbacks, due to Uranus in retrograde in the V House. With Eros in the VII House of the sign, the chemistry for Sagittarius couples will be more evident than ever and they will be able to enjoy moments of intimacy and tenderness. Although, the Full Moon in Cancer on December 22nd indicates that there are issues related to trust that need to be resolved, quickly, since they are causing unfounded fears (it is not as terrible as it seems). The beginning of the direct phase of Chiron in the IV House of Sagittarius (12/09) where Neptune will also be located, signals an appreciation of family bonds and the recognition that sometimes things that you consider to be safe, actually constitute limitations (comfort zone). In this sense, the entrance of the Sun into the II House of Sagittarius (12/21), where Saturn, Pluto and the South Node remain, is an invitation to review your values and what gives you security, starting from what is essential in order to maintain your inner balance. Finances will remain stable for the sons and daughters of Sagittarius during the month of December 2018, although there is a chance of receiving additional income (from an unexpected source), starting on 12/21, when the Sun enters the II House of the centaur. It is worth remembering that Pluto, Saturn and the South Node will be in the II House of Sagittarius, so you may look to leave behind habits that distanced you from economic stability, and create a new system of money management that gets you closer to your goals. The Full Moon in Cancer, which will occur on December 22nd and will touch the VIII House of Sagittarius, will reinforce the trend driven by the alignments in the II House of the sign, through agreements of a financial nature with your partner, business partners, or close relatives. It could be a new plan for saving or payment scheme, a major investment together (housing, vehicle), the expansion of a business or the development of a venture, regardless, the parties involved will be governed by a different set of rules than the initial ones. In the professional field, the start of the direct phase of the asteroid Juno in the VI House of Sagittarius (23/12), suggests that your attention will be focused on projects that will be executed in 2019, which may cause some carelessness when executing tasks in the present. On the other hand, the entrance of the asteroid Vesta to the III House of Sagittarius (12/01) along with the influence of Pallas in the XI House, alludes to honest communication and interactions with colleagues and friends which will help to shape the future. 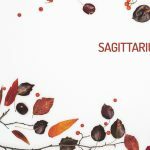 For students of Sagittarius, December will be a quiet period and a time when they can enjoy the festivities without worrying about pending assignments. However, due to Jupiter being present in your sign, it is advisable to avoid drinking if you are driving or refrain from traveling with a drunk driver, especially during long trips. During the month of December, the natives of Sagittarius will enjoy strength and vitality. Not only do they have the presence of Jupiter in their sign, but the Sun will remain under the influence of the centaur until December 20th. Remember that Jupiter is the ruling planet of Sagittarius, but since it is a planet associated with growth, it can encourage overindulging, especially with respect to shopping, eating and drinking (something that is typical of the holiday season). It is a good idea to avoid this type of behavior, especially when it comes to excessive consumption of food and liquor, otherwise you will suffer the consequences of your actions, in the short and medium term. Other aspects that you must take into account during this time of year are the retrogradation of Mercury in the XII House of Sagittarius (from 12/01 to 12/05); the New Moon in Sagittarius on December 7th; the beginning of the direct phase of Chiron in the IV House (12/09); and the entrance of the planet of communication to the sign of the centaur (12/12). The retrogradation of Mercury in the XII House signals facing past events that have, to date, remained hidden, because they are considered too painful or traumatic to address, (this transit occurs under the influence of Scorpio). You must not underestimate the progress that you have made along the path of personal development. Situations that previously seemed difficult to face can now be observed from a different perspective and a higher level of maturity. This specific transit of Mercury favors individual psychological therapy sessions and treatments against addictions, with the advice of specialized medical personnel. On the other hand, the New Moon in Sagittarius on December 7th is an event that is oriented towards you reinventing yourself with respect to beliefs, life philosophy, and personal and professional objectives. The direct entry of Mercury into Sagittarius on 12/12 will awaken your enthusiasm to share with your friends and family. This trend will be reinforced by the beginning of the direct phase of Chiron in the IV House of the centaur (12/09), which can be interpreted as overcoming emotional grudges and past wounds which give you feelings of displacement, uprooting or hinder your relationship with your closest relatives.